Multi coloured LEDs create the lightshow given by the strobing cocktail shaker. 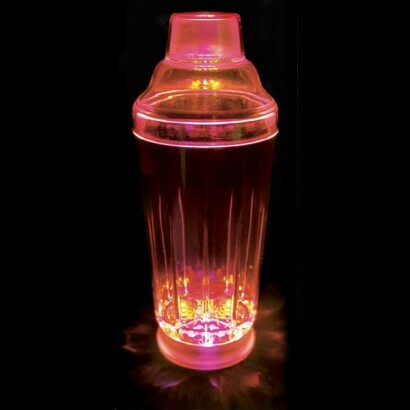 Excellent fun for BBQs and parties; entertain your friends by recreating the cocktail shaking moves made famous in the 80s with the added wonder of glow! Very kitsch, and great fun; anyone for a mojito? Wash with warm soapy water, NOT DISHWASHER SAFE!